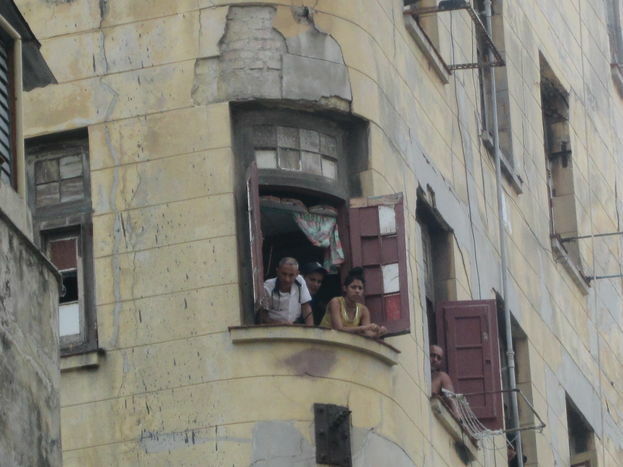 Yosmany Mayeta Labrada, Havana, 18 April 2017 — Mariagne Durán, a mother of two children who lives in the Serrá Building in Central Havana where the stairs collapsed on Tuesday, refuses to leave the property because she has nowhere else to go. 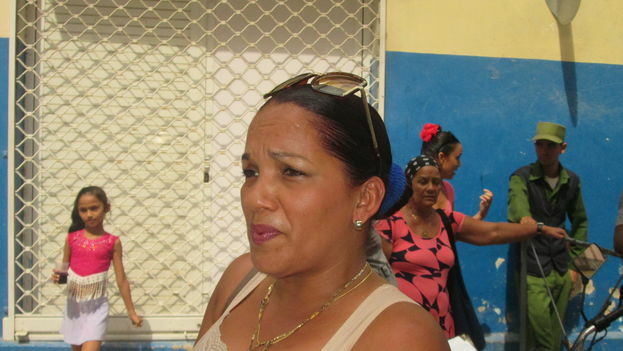 An employee of the Telecommunications Company of Cuba (ETECSA), Duran and her mother are part of the group of residents on the corner of Amistad and San Miguel Streets who are resisting being evacuated. A temporary elevator placed outside the building has allowed residents to come and go from the building and run their daily errands. In the most urgent cases of people trapped it was necessary to use cranes for their rescue, but some families refuse to leave without their belongings. They do not want to leave behind their refrigerators, stoves, washing machines and household goods for fear of looting. Durán resides on the seventh floor of the building and commented to 14ymedio that on Tuesday evening the residents had a meeting with leaders of the Provincial Housing Directorate, but the meeting did not specify what will happen next with the affected families after the evacuation. “I will not accept a cubicle in a shelter,” concludes the woman. This Tuesday, about 120 people were trapped in the building after the stairs that gave access to the apartments collapsed, as reported here.